It’s harvest time but also time of great satisfaction…. Volcanic soil, careful selection of grapes and respect for tradition are three simple choices that lead our SOAVE DOC CLASSICO CAMPO VULCANO 2015 to be awarded with TRE BICCHIERI by the GAMBERO ROSSO guide. This Soave continues to give us great satisfaction; the Garganega grape we are picking these days is just like those golden medal awarding this wine in Berlin. 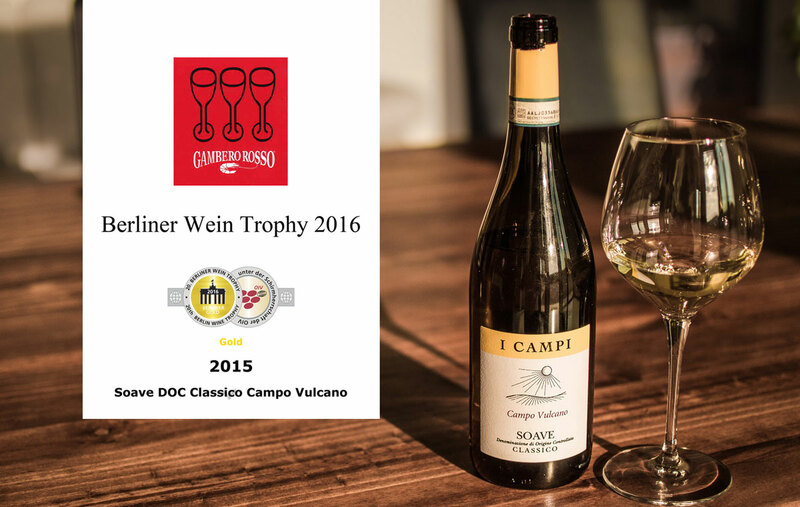 Soave Campo Vulcano 2015 receives an important GOLD MEDAL at BERLINER WEIN TROPHY. Pleased and proud of these important awards, we want to express our thanks to all people who continue to believe in us!